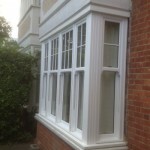 Are you looking for replacement sash windows for your period property? Perhaps you are thinking about casement windows for a new build? 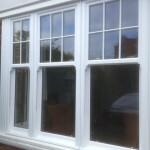 Or maybe you want authentic timber windows that are energy efficient and secure? Here at Merton Windows and Doors, we are one of the premier glazing companies working in Cheam, Belmont and the surrounding regions. 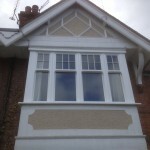 We have vast experience in the supply and fit of sash windows, timber windows, uPVC products, aluminium windows, triple glazing and other glazing solutions for residential, commercial and industrial properties. All our products come from the UK’s leading manufacturers and always meet, or exceed, British standards. We also specialise in made-to-measure windows that are customised to your exact requirements. Sash windows were very popular during the Victorian and Edwardian eras and continue to be today because of their charm and elegant aesthetics. They were traditionally manufactured in timber but as a material, this can take time and money to upkeep. 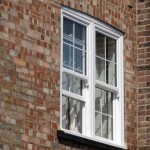 We can supply replacement box sash windows in timber but also in aluminium and modern uPVC, which closely matches wood but also boasts many of the benefits of more modern materials. Our extensive range of sash windows are sympathetically designed and always offer excellent energy efficiency, security and acoustic performance. We are also able to supply and fit triple glazed windows and alongside sash windows can fit a range of composite doors, French doors and patio doors in Cheam and Belmont. Our friendly and expert team are always on hand to guide you through the process of choosing your new windows and we can also provide you with a free, no-obligation consultation and quotation for any work. Please call us on 0208 542 2233. Why choose our vertical sliders for your Cheam home? Durable: Old sash timber frames will rot over time, become draughty and get stuck. Our hi-tech sash windows are extremely weatherproof and resistant to corrosion, so will be practical, easy to use and will keep the cold out! 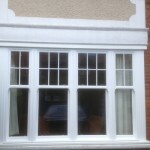 Energy efficient: Double or triple glazed sash windows have outstanding insulation properties. This will keep your home warm during the winter months and cool during the summer and will also reduce your energy bills. 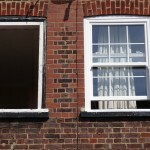 Read our blog about suffering from cold spots under windows. Low maintenance: uPVC and aluminium box sash windows are extremely low maintenance and will never need to be re-varnished or be given extra attention. All these windows require is a wipe-clean once in a while to look as good as new. Adds value: If you are thinking about selling your home or investing in your future, new windows will add value to your property. Noise resistant: If you live in a busy area or underneath a flight path, well-insulated windows will reduce the noise pollution inside your home. Triple-glazed windows in particular, offer outstanding noise reduction properties. Choice: All our sash windows come in a number of materials, colours and design options, so we can build exactly the product you would like. If you are thinking about new vertical sliders, casement windows or timber windows in Cheam, call on Merton Windows and Doors! We are always happy to offer free advice about the best products for your property and budget, so please call us now on 0208 542 2233, email [email protected] or fill in an online enquiry form.